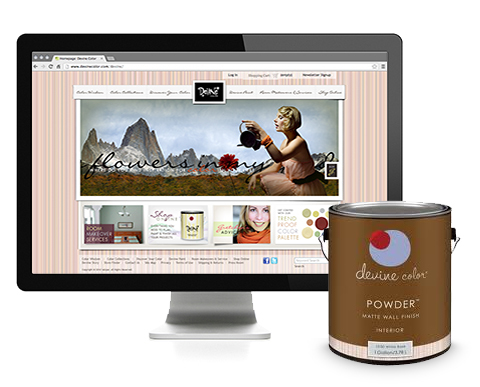 Devine Color® paint is rich and lush—you will immediately see and feel the difference when you open the container. At Devine Color, they eliminate color indecision and painting risks! For over a decade, Devine Color has been offering color collections that allow everyone to effortlessly express their color preferences without the fear of making a mistake. Their paint colors are crafted together in perfect relationships that coordinate with everything you own: the old, new, borrowed and true! Think of them as paint-by-wonder palettes. This engagement was an opportunity to take a fresh look at the online brand and positioning of Devine Color. For the first time, the product would be available for sale online. Working very closely with Gretchen Schauffler, the founder of Devine Color and the expert marketing team at Valspar, L2 Interactive developed the information architecture, visual style boards and user profiles (personas). Once the designs and interface were approved, we developed the HTML and worked closely with the corporate Valspar IT team in Minneapolis. For years prior to the redesign, Gretchen had kept a blog for publishing her thoughts and ideas on Devine Color. During our design process, we developed the feature of "Ask g" as a driver for blog content ideas. When we redesigned the blog and set it up with TypePad, we skinned the branding to match the website. As time went by, the Devine Color Facebook page has replaced the blog as their means for daily and weekly content publication. 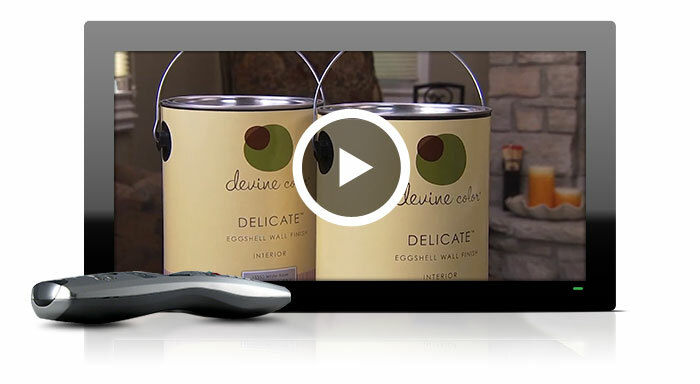 L2 Interactive was engaged to produce a DVD that would be included in an all inclusive paint kit to be sold exclusively on the HSN television channel and on the HSN.com website. Our responsibilities included, location scouting, talent search, art direction, DVD artwork and duplication. Resources included a producer, stylist, videographer, audio specialist, catering company and editing studio. My relationship with L2 Interactive has spanned 10 years - when you find a group of amazingly talented and passionate people who continually deliver digital home runs for your brands, you never let them leave your side. They know how to change the game. As an extension to the Devine Color branding and communications efforts, L2 Interactive was engaged to develop a magazine template that could be used within the Valspar organization in order to produce a quarterly magazine. We provided art direction and feedback regarding ways to make the magazine visually appealing and colorful. L2 Interactive was engaged to design and deliver a series of banner ads that marketed the Devine Color products for Valspar. Working with the Devine Color team along with the 5 year strategy and research from the initial website project, we identified the marketplace positioning of "Experience" and "Style". We delivered leaderboards, skyscraper and medium rectangles.